Of course, when you leave the Mothership, you know things are going to be different. Your routine will change, you don’t have to get up and commute to an office (hooray! ), or go to tedious meetings, or wade through several pointless emails every morning to find the important stuff. Some of these changes are welcome and you may feel a certain lightness of being that you are freed of these chores and the need to conform to other people’s expectations. What we also feel, though, is a bit lost, a bit adrift. Obviously, you don’t have the regular contact with your colleagues but it’s something more than that. It’s a disconnection, like you are bobbing around in the middle of the ocean with nothing within sight, just the boundless horizon. The feeling of drifting is quite appropriate because what you are missing are the anchors of your previous life. When you were on the Mothership you didn’t notice all the things around you that gave you feeling of connection, of being grounded, of balance. From the corporate colours that were on everything to the layout of the monthly reports, the mind-numbing tedium of the reporting cycle to the annual appraisal round, the position of your desk in the office to your favourite table in the canteen, these were everyday familiarities that reminded you where you were and what you were there for. These were the unseen anchors in your life that made you feel solid. Over time you will develop new anchors, new routines, and put down new roots. You will start to feel grounded, feel you are connected to something solid and stable. Until then, you are going to have to find a way to live with this disconcerting feeling of floating, whilst you work on re-imagining yourself and finding out what your new anchors need to be. One way to do this is to be more aware of the anchors in other parts of your life, your family, friends, clubs and societies you belong to. Maintaining and cherishing these is very important whilst you work through this stage of uncertainty. There are many aspects of life on the Mothership that we fail to notice and appreciate and when we leave their loss comes a surprise, which is often confusing and upsetting to us. 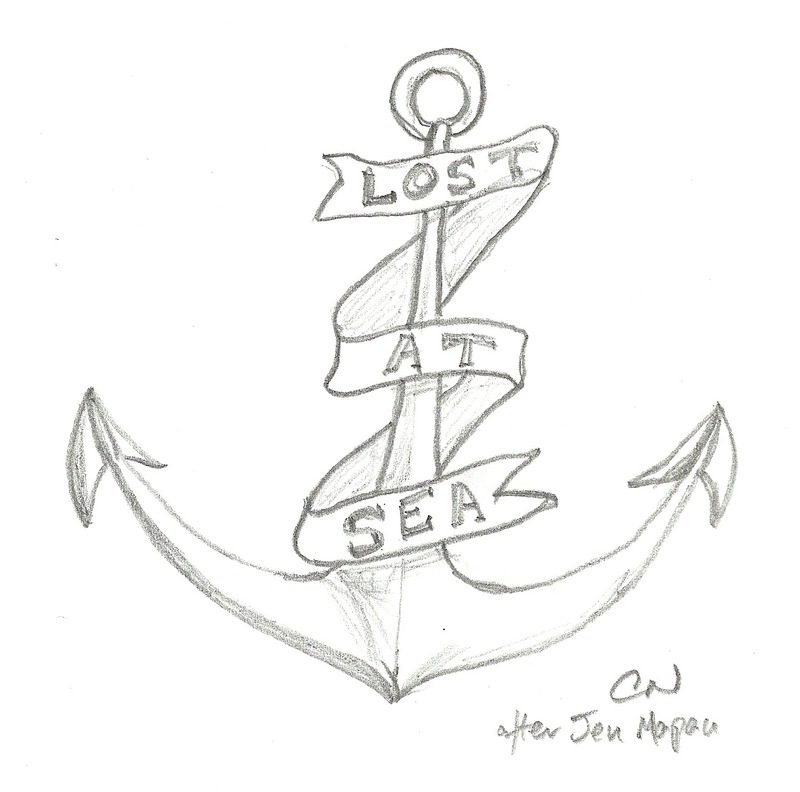 Having anchors in our life is an important part of maintaining our balance and good mental and emotional health. I always liked going to the office. I don’t mean the commute, which was not always a joyful experience, but actually having a separate place to go to. I enjoyed the separation between work and home and used the time to mentally switch into and out of ‘work’. I also enjoyed being with a group of people that I knew and mostly liked, or at least got along with, and sharing the little details of our lives, chatting about the issues of the day or the football and the telly from last night. I was a very early adopter of mobile working, having a computer at home from the mid-80s and being the the first in my workplace to have a laptop. Working for the first public email service in the UK, I would log in with my modem from all sorts of locations, often breaking into phone sockets with my screwdriver so I could attach the crocodile clips to the line and get dial tone. I was one of the early road warriors of the digital age! This started to breakdown the barrier between work time and my time but I alway felt that there was a boundary because I still had the status of ‘out of the office’. This meant I could behave differently outside normal hours or when travelling. I might check my emails and messages but I would not action them until I was back ‘in the office’. These were only constructs in my mind but they helped me balance the demands of work and home and feel that I had some control. The physical office gave me a sense of ‘other’ and so I could maintain a separation. Even if the reality was more blurred than I imagined, it helped me stay on top of things and not get overwhelmed. This all changed when I left the Mothership. I was now working at home, in the study at the top of the stairs. Although I set it up with a desktop computer and phone, it was still part of the house. In fact, because of its central location, it was very much part of the house, I could hear what was going on in all the rooms and was in the middle of all the comings and goings, which was enormously distracting! Eventually, I moved into a bedroom at the back of the house where I could shut the door and be largely separated from the household. Of course, that meant that there was no longer the physical separation of work and home. It also meant that I didn’t have a group of co-workers to socialise with and share news and gossip with. At the time the only solution was to go to networking events or meet up with people. The easy serendipity of bumping into colleagues and friends was no longer available, nor was the opportunity to strike up new friendships over time. These were far more important to me than I realised at the time and I have found it difficult to replace them. One solution that has emerged over the past few years is coworking. I have been to a number of different coworking spaces and seen how this idea has evolved over the last couple of years. It’s definitely an option worth considering, so I’ll share my knowledge of this in a separate blog. However, not all spaces are the same and you need to understand what you want to get out of using one. I think I might have found one that works for me but you may need something different. The point is that when you are on the Mothership your place of work is largely decided for you. You might be able to lay claim to a desk or an office, or even your location (s) and when you go in and when you are mobile. Much of your work environment, however, is given. You are not consciously aware of what you get in the way of social contact, information, help and structure. When you leave, it’s all down to you. The good news is that you get to design exactly what you want but you have to understand what you are seeking to replace, and work our exactly how you are going to fulfil each of the needs you have. 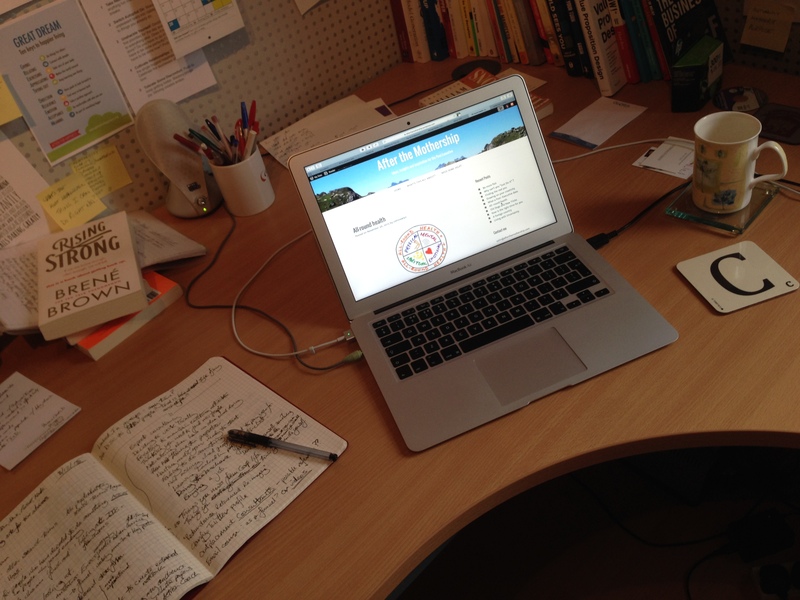 Where you work is a place in your mind as well as a physical space. When you are on the Mothership, you have a whole load of opportunities at your fingertips. You are part of an ecosystem that constantly changing and reforming, which creates new requirements and roles on a continual basis. You may be approached directly to get involved in a project, apply for a position, or hear about something through the ‘jungle network’, the fastest, most vibrant and possibly least accurate communication network in the business. Things pop up, serendipitous conversations in the corridor or at a meeting open new doors that you weren’t even aware of. If you are alert, keep your ear to the ground and maintain a friendly relationship with everyone you come into contact with, stuff will come and find you. You’re probably not aware of this easy access to opportunities when you are there. Some of the time you actually close it down, shutting out the noise and babble around you so that you can focus on a priority task. Once you are done, however, it’s fairy easy to pick up the connections and plug back in. Needless to say, that’s not the case when you have left the Mothership. Opportunities have to sought and fought for. This requires new skills and approaches. You’ve never had to allocate time to this before but now you do, as well as going through the learning curve of finding out how to do it. In fact, you may find out that it’s a struggle and you are not really suited to this sort of activity. Some people go and get training on this, others partner with people who do have abilities and aptitude in this area. To some extent it is unavoidable but then, in truth, you always put a bit of effort into this on the Mothership. Some people find it is difficult but they can master it, others that they have a real aptitude and they really enjoy it. Some struggle and have to find people to help and support them. It’s a process of self-discovery that you have to go through to find out what works for you, what the best arrangement is for you. On the Mothership, you could be like a sea anemone, sitting in the current and sifting through what passes until you found something tasty. Now, you have to be more like a like fish, swimming around and exploring the sea until you find a source of food. Now, there will be no end of people telling you that you have got to be a hustler, a predator, shark-like in your pursuit of your prey. This is nonsense. It might be a popular stereotype but that’s not how most people go about finding opportunities and making sales. You do have to put effort in to find a source of food and be pro-active but there are lots of other types of fish in the sea. Many work together as a school or a shoal, sharing the risk and rewards with each other, working together for mutual benefit. So you have to stop being a sea anemone and get mobile and actively look for opportunities. 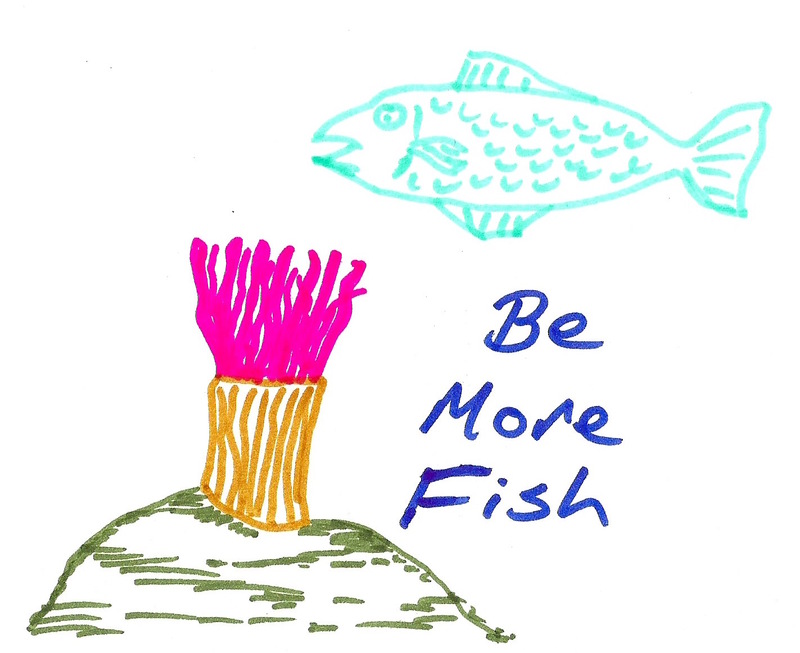 Be more fish. Why can’t you “Just Do It” ? You might hear this a lot from people. You might even be the type of person who says it a lot to other people. “Just Do It”. “Be in action”. “Doing something is better than nothing”. Mostly, people are just trying to be helpful. Only it’s not really helpful because if it really was that easy, well, you’d have done it, wouldn’t you? I mean, if the solution to your ‘stuckness’ was simply to do something, anything, well, you’d do it and you wouldn’t still be stuck. I used to find these empty exhortations really irritating. Sometimes I would succumb and just do something. It never worked out well. I lacked understanding, I lacked intent, I lacked commitment. 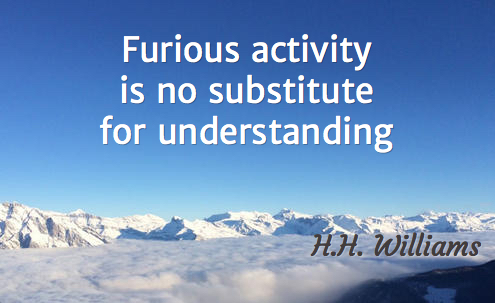 There are times, of course, when we are able to simply move into action. Sometimes we completely overcomplicate things and make them seem impossible to achieve. It’s a form of procrastination. It’s what Steven Pressfield, in his book ‘Do the Work’, calls “the resistance” concealing itself behind false logic and imagined terrors, stopping us from sharing our gifts with the world. You can push through ‘the resistance’. You can ‘just ship’. It will certainly help to move you forward but it won’t necessarily get you unstuck. Being stuck is the manifestation of a deeper turmoil, an inner conflict that you have not yet resolved. It may be something from the past that you are holding on to and that is pulling you back. Or it maybe a fear of what lies ahead that is preventing you moving forward. You are stuck in the Neutral Zone, in the wilderness, feeling lost and confused. Whatever this deeper problem is, glibly spouting the slogan of an international sportswear company is not going to suddenly spring you free. If you are like me, it will give you the sudden urge to punch someone in the face and say “well, I you told me to just do it, so I did. How do you like them apples?” (If you are like me you will resist that urge and just roll your eyes instead). I am not recommending that you do nothing. Quite the opposite, you have to put in the hard yards to find your way through the wilderness and out the other side. You must focus on getting down to that deeper conflict, to identifying and resolving that inner conflict. In the sense of ‘Just’ meaning ‘Only’, then yes, just do that. That’s not what they mean, though. They have no interest in helping you dig into your stuff, they just want to look smart and show you how better than you they are. So ignore them. Running around doing random things to make them happy isn’t going to help anyone. To really thrive after the Mothership, you need to connect to your essential core. The unchanging, unquestionable, unshakeable truths that make you the person you are. This is important because you are no longer driven by other people’s agendas, demands and preferences. 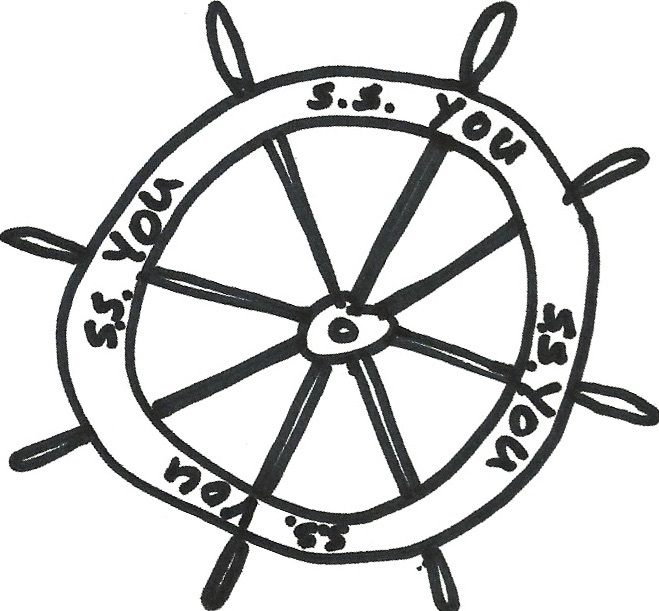 You are steering the ship these days you need to make sure the captain is the right person, the real you. That’s the only person who can steer a sure course and navigate through the storms ahead. This can be rather more of a challenge than first appears, however. First of all, you might never have looked for it before. Many of us have gone through life responding and adapting to events. We’ve found a way through and created an identity without any real intention or reflection about what we are doing. We’ve been far too busy with life to think about this stuff and we’ve never been shown how to do it anyway. And secondly, the real you is probably buried away and hasn’t seen the light of day for a long time. You’ve spent several years wearing a mask, or possibly many different masks, conforming and fitting in and playing the game. You’ve adopted other people’s values, the culture of the organisations you’ve worked in have pervaded your beliefs and your judgement. You have layers of other people’s expectations upon you. And then there’s the armour. You’ve probably been subjected to shaming, bullying, rule by fear and even abuse. Naturally, you’ve developed defences against these. You’ve disengaged emotionally. You’ve fought back, fighting fire with fire. There’s a reason that we say people get ‘hardened’ by experience. It’s all that armour that they’ve developed and put on themselves. So, somewhere underneath all that lot, is the real you. It’s not going to be a quick or easy task to strip away all that accumulated junk. It’s going to be hard, uncomfortable work but it will be worth it. Once you find the real you, you will be amazed at how easier life is without all that stuff on top of you. In fact, you’ll wonder why you wore it in first place. Imagine what you can achieve with the strength and energy that you’ve released. Imagine how nimble and fast you can be, the lightness you will feel and the spring you will have in your step. The real you is worth finding because it’s your very own source of power, it’s the treasure that only you can uncover.